The weather pattern for Europe this week will be dominated by a large trough / cutoff low forming over the Atlantic today and tomorrow and moving across western into central Europe by the end of the week. The system brings very unstable and unsettled weather across the western and central Mediterranean region, the Iberian peninsula, the southern half of central Europe and the Balkans. We look at the details below. A progressive pattern establishes today, with a broad area of low pressure over the Atlantic pushing into western Europe over the next two or three days. 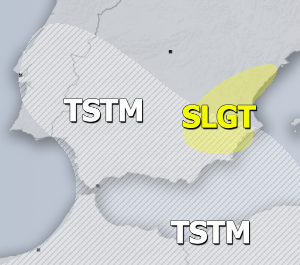 It produces a number of troughs and cutoff lows pushing into central Europe and the Mediterranean; these systems will produce unsettled weather, with locally heavy rainfall and snowfall at higher elevations. Temperatures will be mostly average for this time of the year, but quite variable as successive systems produce first warm air advection from the south and then bring cooler air behind cold fronts. 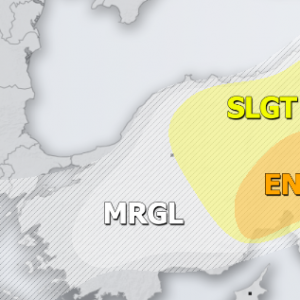 We next take a look at individual systems that will affect different parts of Europe over the next few days, including: a deep low for BeNeLux and northern Germany, lots of fresh snow in the Alps, major rainfall and snowfall in northeastern Italy and northwestern Slovenia and an unusually deep low in the eastern Mediterranean which kicks up a big dust storm.